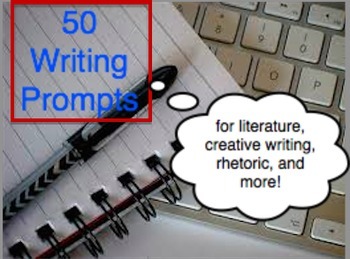 Included are 50 writing prompts that I use in various English classes (grades 10-12). Many of these prompts can be expanded into formal assignments. 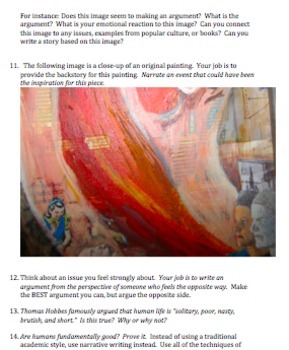 Many work well as discussion-starters, writing practice, critical thinking exercises, or stylistic exercises. They can work in literature classes or writing classes. 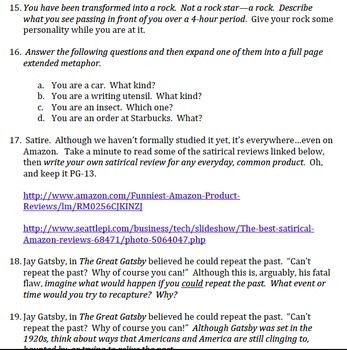 Although some of the prompts mention specific books by title, most of the prompts are general enough to apply to multiple titles. 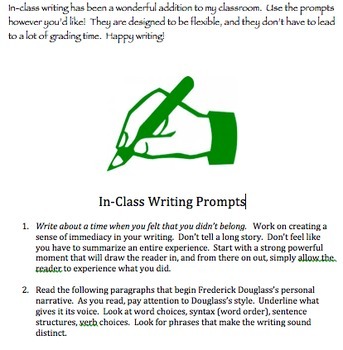 In-class writing has been a wonderful addition to my classroom. Use the prompts however you’d like! They are designed to be flexible, and they don’t have to lead to a lot of grading time. Happy writing!